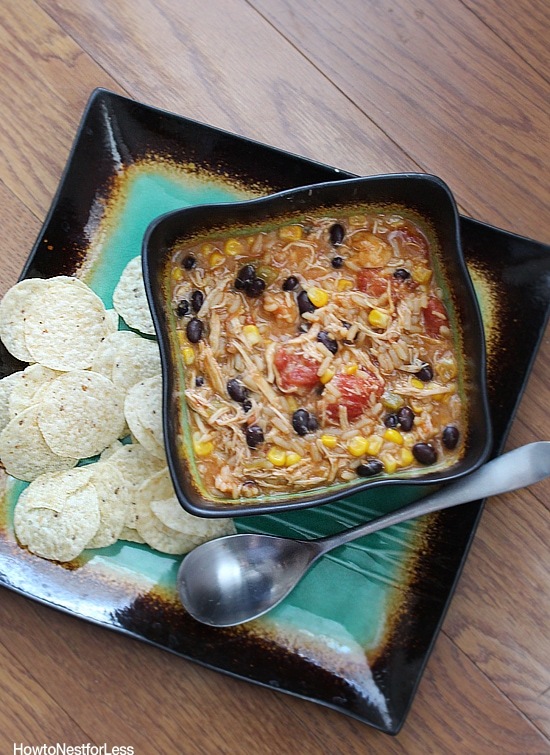 Mexican Soup Recipe with Chicken - Easy to Make! 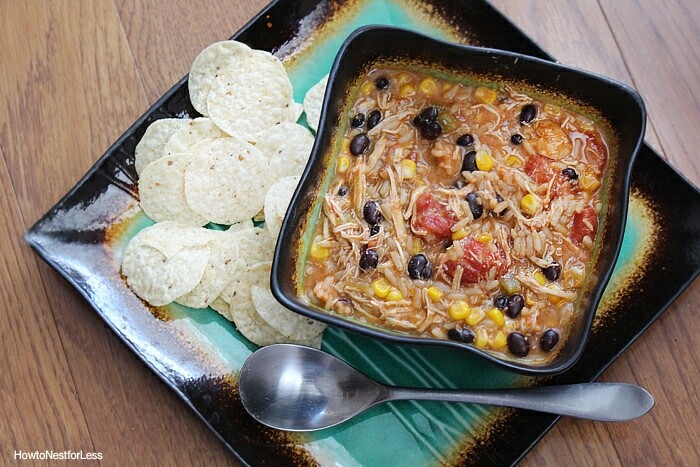 I think I’m officially ready for Fall already because I’m finding myself craving soups, even if it is still 93 degrees outside. So I’ve mentioned before that I’m a huge fan of Mexican food… we eat it at least once a week. So now I’m combining two of my favorites in one savory dish for my Mexican Soup Recipe! 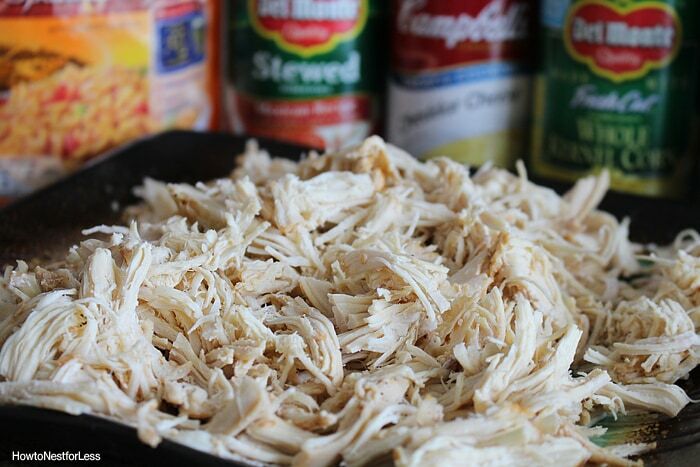 To make the shredded chicken for the Mexican Soup Recipe, I usually put the chicken breasts in the crockpot for 4 hours with 1 cup of water and the fajita seasoning. Cook on high for 4 hours. Then it will easily shred into perfect pieces for the soup. Transfer the chicken to a large pot. Add in the corn, black beans, tomatoes, green chilies, 3 cups of water, and rice. Bring to a high boil, then let simmer for 5 minutes. Add in the cheddar cheese soup and mix in. And that’s it for the Mexican Soup Recipe! 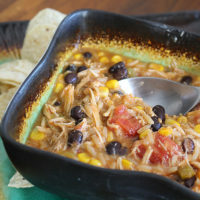 The longest part is waiting for the chicken to cook in the crock pot, but the rest of the recipe goes quite quickly! Great for a quick dinner to pull together after a long day at work, especially if you prepare the chicken the night before. 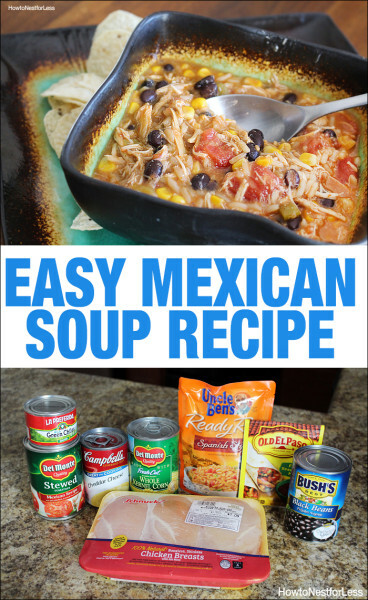 Easy Mexican soup that's great for Fall and Winter! 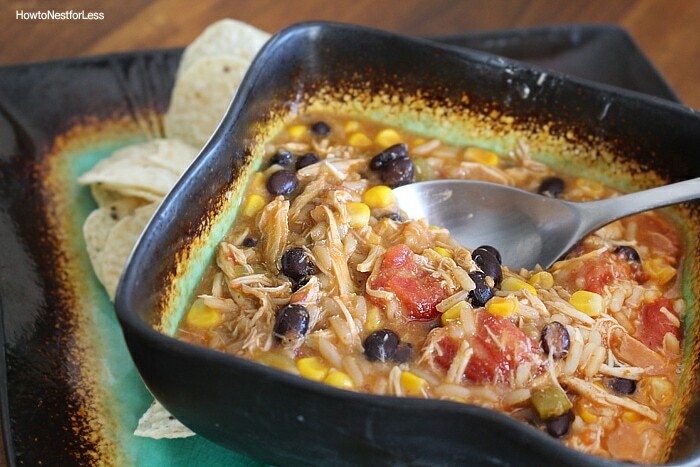 Shred chicken in the crockpot for 4 hours with 1 cup of water and the fajita seasoning. Cook on high for 4 hours. 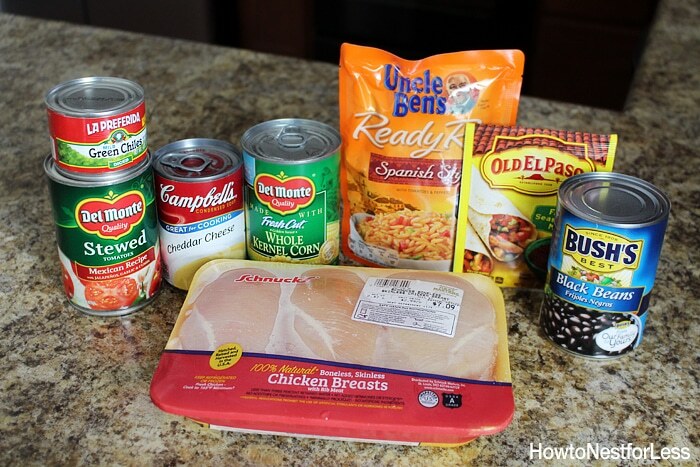 Lots of easy dinner ideas for busy moms!